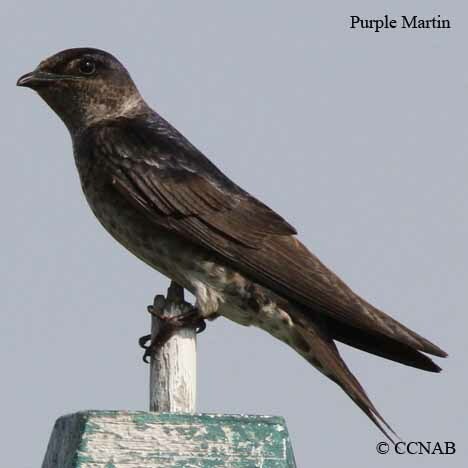 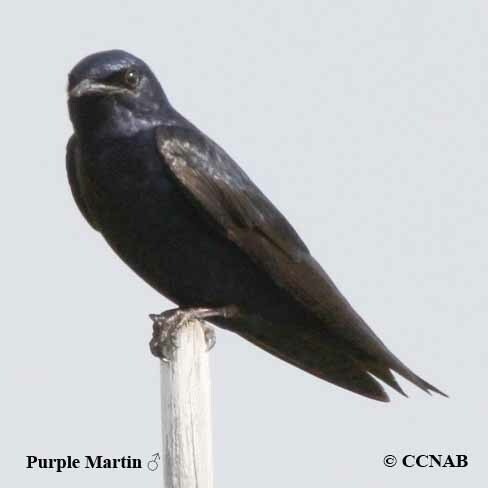 The Purple Martin is the largest member of the swallow family. 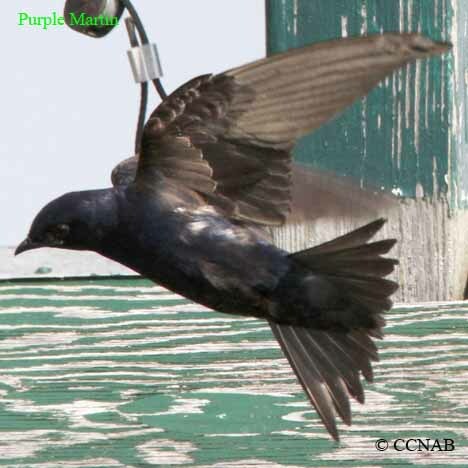 These fast flying birds feed by catching insects on the wing. 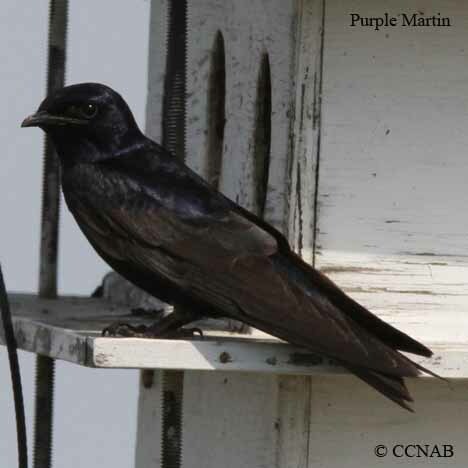 The martins nest in large colonies in multi-story bird houses, that have many compartments. 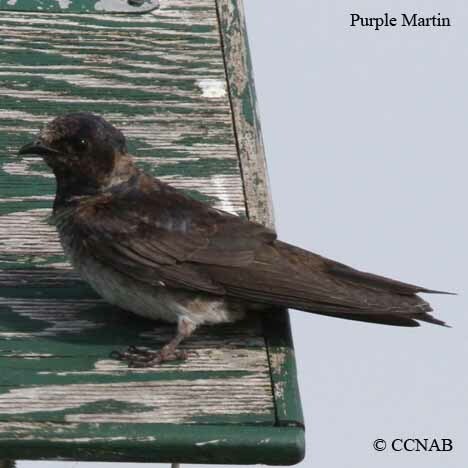 These seem to be the only bird species in North America that depend on bird houses to build their nest in and raise their young.